A little over four weeks ago, Hélène (@hportemanteau), Suzy (@sewing_in_spain) and I thought we might run a short Instagram challenge whereby people could make the free Stitch Sisters patternless kaftan. We planned it as a kind of international sewing challenge and called it “sewing sans frontieres”. We thought we might get a few people joining in but were rather unprepared for the fabulous uptake and Suzy even found four prize sponsors; more on them later. What we got were 62 entries and were amazed at the level of hacking and creativity that people engaged in. We had embellishment; round necklines; raised necklines; elimination of the front seam; a variety of sleeve lengths and styles, a variety of tie styles, including the addition of belts; long, short, cropped, and medium length kaftans; we had kaftans made from thrifted and recycled fabrics, and we even had a pre-wedding kaftan, a Christmas kaftan and a maternity kaftan. What an incredibly versatile pattern this is! 2 pdfs of @sewhouse7 latest pattern #montavillamuumuu – a top, short or maxi dress launched only last week! 25USD gift certificate to spend on beautiful exotic fabrics at @fiberstofabric…so hard to choose! 2 pdf patterns of @frenchnavynow latest pattern; the Morningside dress or shirt, which was released only a couple of days ago. We have to thank our sponsors; there are a lot of challenges and requests for prizes out there, so it’s wonderful that these marvellous people chose to support us, and I hope they are pleased with the level of exposure and support that they have received in return. If you haven’t checked them out, please do! The copy of Athina Kakou’s beautiful ebook “Sewing your Dream Wardrobe” is Andrea of @andreashpuntoff who created this dreamy, swirly kaftan. Andrea lives in the USA. The winners of the two PDFs of the French Navy Now latest Morningside dress or shirt are @_missflores_ from Germany,whose kaftan is made from the most gorgeous floral. She has made the sleeves short – kimono style? and it looks as though her neckline binding is on the outside of the dress. The other winner of this pattern is @violaisabelle6 from Canada, who also made a knee length kaftan and used a contrasting belt instead of the ties. She teamed it with tights to make it trans-seasonal and models it so well. the two PDFs of the Sewhouse7 Montavilla Muumuu have been won by @katilulemakes, an Aussie living in France, who used the most amazing Kenyan kanga fabric. She also made her’s knee length, and I love how she used the print to create interest. and @chloe_deadlycraft from Australia. Chloe created this knee length kaftan with a contrast bound neckline, shorter sleeves and frayed hem. She made her ties wider to create an obi effect. So flattering. and finally, the winner of the $25US of fabric from Fibers to Fabric, who has some of the most delightful fabric, direct from the skilled weavers and dyers of India, is Janet from @ sewdalriada who made several kaftans, but the one randomly chosen by the generator is this amazing African wax fabric, and Janet has managed the pattern placement brilliantly. I think this is the only one chosen which doesn’t have any changes made to it. The back is so gorgeous that I just had to show it – and of course, Janet’s little dog Frank, with whom I am besotted! Janet lives in Scotland and her feed is full of gorgeous scenery. We had a few repeats, however the queen of the repeat is Ali (@robinsnest1926) who made six kaftans, three of which were shown to us in videography. Here are five and I saved the best for last, so you’ll see her video at the end of this post. Just to highlight the truly international nature of this challenge, Suzy put together this pie chart showing the distribution of makers. You can see that the UK and USA dominated, but it was lovely to see people joining from Hong Kong, Dubai and Ireland, among other countries (and Australia did ok!). My co-hosts made three kaftans each, and I lagged behind with only two, but my excuse is that I was distracted by my holiday travels. The three of us are featured in our kaftans at the top of the page. And saving the best for last, here is Ali dancing like her Nana. This video took the IG sewing community by storm. Just wonderful! I want to thank everyone who participated in this challenge, and also thank all the people who cheered them on from the sidelines. There was a lot of support and love in the IG community and we are thrilled that everyone embraced this fabulous kaftan so wholeheartedly. Of course, I also want to thank my co-hosts, Hélène and Suzy. We had so much fun and I can’t wait to do another one. Not this week though! Wasn’t it fabulous? I am already missing our conversations! 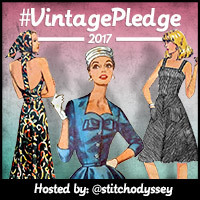 Oh me too, I am way behind on sewing and blogging, but I absolutely loved doing this challenge. thank you Andrew, hopefully next time you’ll be able to wow us! If I’m going to keep MrsH off my back I think I’d better have a Kaftan catch-up as soon as I can!!! Lol! I look forward to it! You three had such a great and creative idea that became a very successful challenge. I enjoyed watching all the makes. Thanks Sonja, I’m glad you enjoyed it.